We are a team of 17,000 people working together to create unforgettable experiences. At Grupo Vidanta, we know happiness starts with our team, that’s why we support the personal development of every one of our employees. We’re committed to creating a happy workplace, where our employees’ health, safety, and professional growth are encouraged through our facilities, programs, and policies. Grupo Vidanta is dedicated to helping our employees succeed both in and out of the workplace. Through our Vidanta Contigo program, we are able to provide opportunities to help improve the quality of life for our employees and their families. Our dedicated construction company is committed to maintaining the integrity of its trade through Programa de Jovenes Profesionales. This training program provides recent college graduates with an opportunity to apprentice and receive hands-on experience in large-scale building projects throughout Latin America. The Great Place to Work Institute was founded in 1991 in the United States in order to evaluate and provide tools that help businesses to be Great Places to Work. The Great Place to Work organization measures employee feedback against the policies, programs, and practices that each organization offers its employees to come up with Best Workplaces lists. Those companies that create environments with trust at their core, that live their values, and that strive to have a positive impact on their communities make the list. Grupo Vidanta has been evaluated annually under the Great Place to Work model and, since participating, we’ve been recognized as one of the 100 Great Places to Work for in Mexico. Every year since 2013, including 2018, Vidanta has earned the distinction of being in the top 10 Great Places to Work in Mexico. If you are passionate about inspiring happiness and would like to start a career in which excellence is rewarded and team members work in a respectful, supportive environment, apply to become a part of our team. 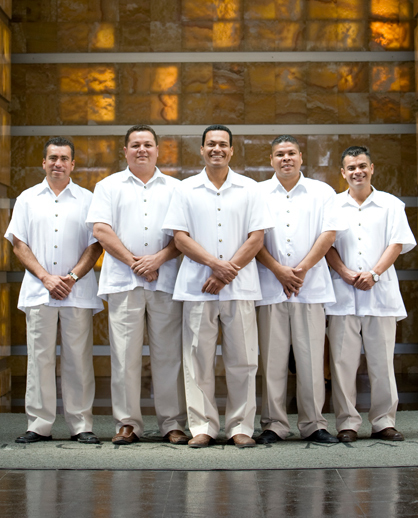 Grupo Vidanta is one of the most successful and fastest-growing companies in Mexico. We value our employees and provide them with the proper training to promote long-term success and advancement, and we offer a host of rewarding career opportunities at the corporate, construction, hotel and sales levels. Our people are happy and that is our greatest asset. The passion they display every day to deliver the essence of happiness to every guest is an amazing thing for a guest to experience and a hallmark of a Vidanta vacation.